Once wildly popular in grammar schools across the country, sentence diagramming has fallen out of fashion. But are we that much worse for not knowing the word-mapping method? Now, in this illustrated personal history that any language lover will adore, Kitty Burns Florey explores the rise and fall of sentence diagramming, including its invention by a mustachioed man named Brainerd “Brainy” Kellogg and his wealthy accomplice Alonzo Reed ... the inferior “balloon diagram” predecessor ... and what diagrams of sentences by Hemingway, Welty, Proust, Kerouac and other famous writers reveal about them. Florey also offers up her own common-sense approach to learning and using good grammar. And she answers some of literature’s most pressing questions: Was Mark Twain or James Fenimore Cooper a better grammarian? What are the silliest grammar rules? And what’s Gertude Stein got to do with any of it? Kitty Burns Florey, a veteran copyeditor, is the author of nine novels and many short stories and essays. 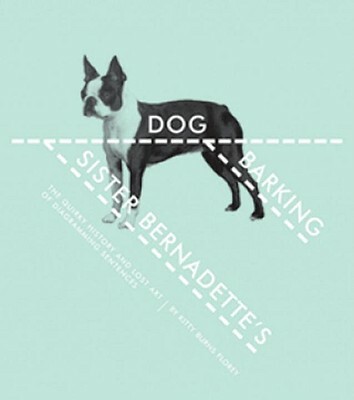 Kitty's attending parochial school from 1st to 12th grade at St. John the Baptist Academy inspired her book, Sister Bernadette's Barking Dog. A longtime Brooklyn resident, she now divides her time between central Connecticut and upstate New York with her husband, Ron Savage.